If your compensation strategy doesn’t reward productivity and quality results, chances are you’re wasting money rewarding qualities that don’t improve your bottom line. 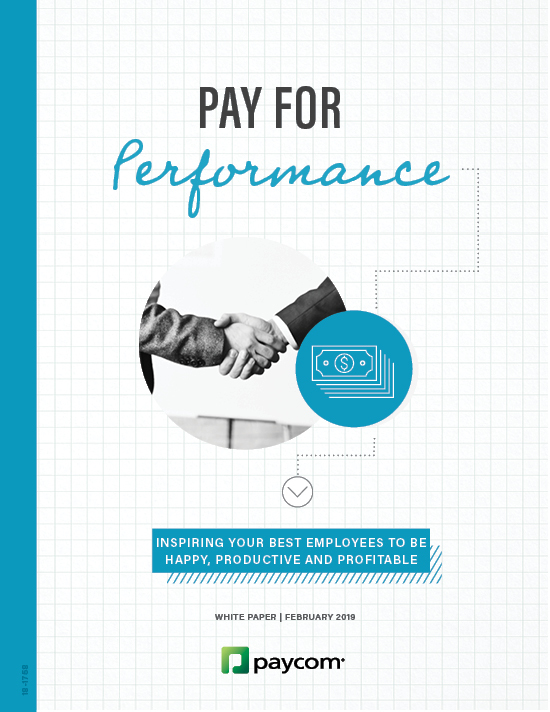 Pay for performance helps employees understand what’s being asked of them, which increases engagement and boosts productivity. Employees want to be recognized for hard work and quality results. 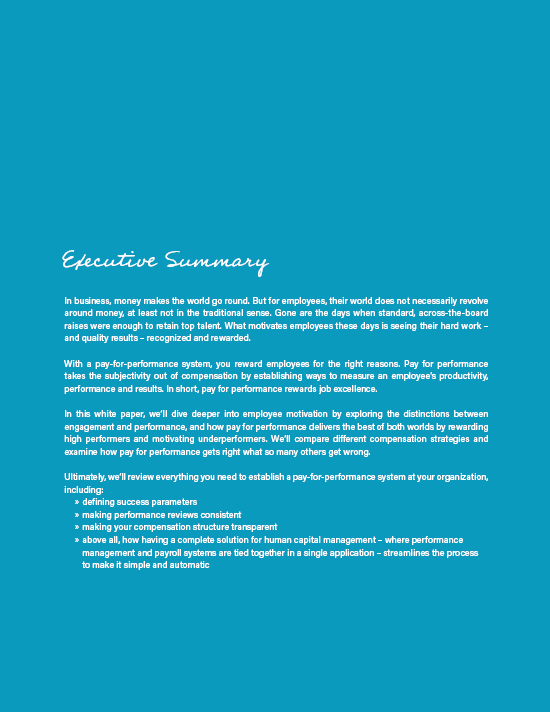 Pay for performance establishes clear objectives and metrics that align with your goals. Paycom streamlines and automates pay for performance.